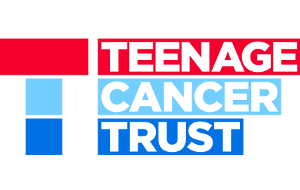 Since 1991 the bacta Charitable Trust has raised a total of £3.25m for good causes including the Princes Youth Business Trust, Macmillan Cancer Support, British Institute for Brain Injured Children and Fairbridge, which helps mentor disengaged young people. 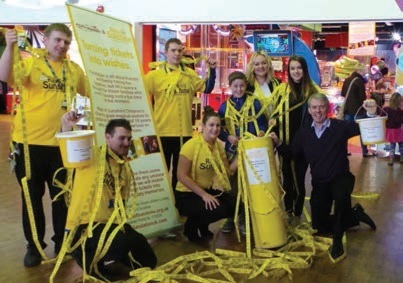 Bacta members have raised over £350,000 for Rays of Sunshine, which grants wishes for children and young people with a serious or life-limiting illness. The Tickets2Wishes initiative, which is administered by bacta in aid of Rays of Sunshine, encourages customers attending the country’s Family Entertainment Centres to donate their left over redemption tickets . 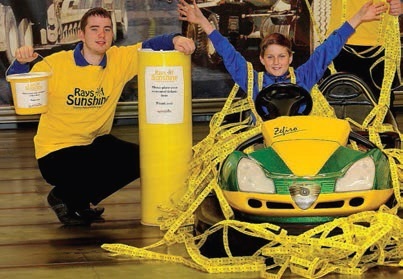 Operators match the amount with the value donated to Rays of Sunshine. 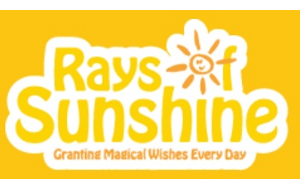 For more information on the wonderful work undertaken by Rays of Sunshine click here. 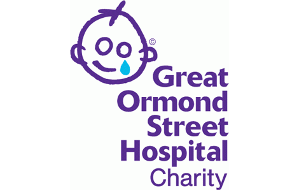 The charities the Bacta Charitable Trust currently support are Rays of Sunshine, Teenage Cancer Trust, The Alma Thomas Royal Marsden Settlement and Great Ormond Street Hospital. 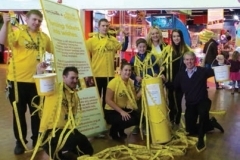 Bacta’s seaside members run a scheme inviting their customers to donate unwanted redemption tickets to the charity Rays of Sunshine, which grants wishes to children with terminal or life-limiting illnesses. 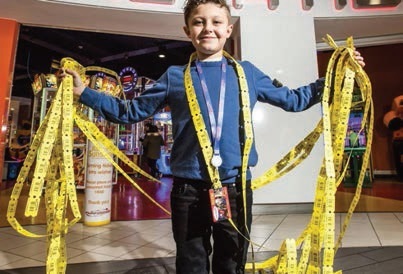 We would like to thank all those members of the public who in 2017 helped us to collect over 2 million tickets. Formed in 1991 by Dave Orton, the bacta Bikers are an intrepid group of industry luminaries who combine their passion for motorbikes with a compassion for those who are less fortunate. With age no barrier (Dave Orton stood down from the group he formed aged 74!) the bacta bikers have raised close to £200,000 for good causes including Macmillan Nurses, the John Radcliffe Hospital Children’s Cancer Research Centre, RNID and Rays of Sunshine. 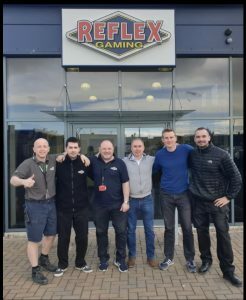 A recent European tour covered over 3,500 miles, taking in Germany, Austria and the Netherlands, generating a remarkable £16,000 for Rays of Sunshine. 8.00am – Start Ben Nevis. 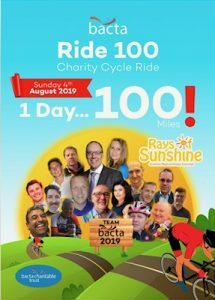 Seventeen wonderful individuals will be coming together on Sunday, 4 August for the Prudential Ride London 2019 for one of Bacta’s charity partners Rays of Sunshine Children’s Charity. 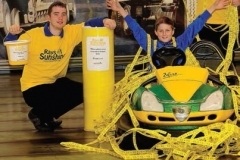 Rays of Sunshine was formed in 2003 to brighten the lives of children who are living with serious or life-limiting illnesses, between the ages of 3-18, across the UK. Please help Team Bacta achieve their target by visiting: https://www.justgiving.com/fundraising/bacta – Together let’s make wishes come true.